Создано: 21 января 2015 10:33 · Поправил: GomerSix New! Available in English, Russian, Bulgarian and in other 17 languages. - Simple and friendly GUI. - Open Inno Setup-based installers into the application by drag and drop executables from Windows Explorer. - Research/scan all Inno Setup-based installers available in your hard drive. - Explore and inspect internal content (files and more) of the installer. - Get the full script content of installer. - Extract files to a local folder, to a zip package, to a self-extracting module (portable) or by drag and drop feature. - Dump/export "Code" (RemObjects Pascal in assemply code), "Registry" and "INI" sections from the script to a readable file. 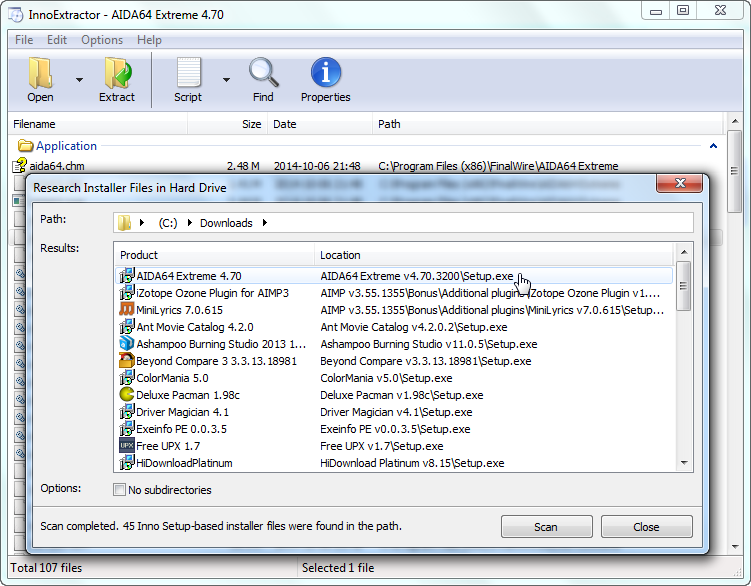 - Run files of the installer into the same application with double click. - Identify encrypted files of the installer. - Perform file searches by keyword. - Input panel, that allows you to enter a valid password to extract encrypted installers. - Properties panel to see advanced information about the installer. - History for recently opened installer. - Support older and latest versions of Inno Setup. - Support older and latest versions of InnoUnp. - Application available in multiple languages. - Designed for Windows 2000, XP, Vista, 7 and 8/8.1/8.1.1. Создано: 21 января 2015 10:36 New! Создано: 21 января 2015 10:38 New! Хватит уже на каждую версию новый топик городить.